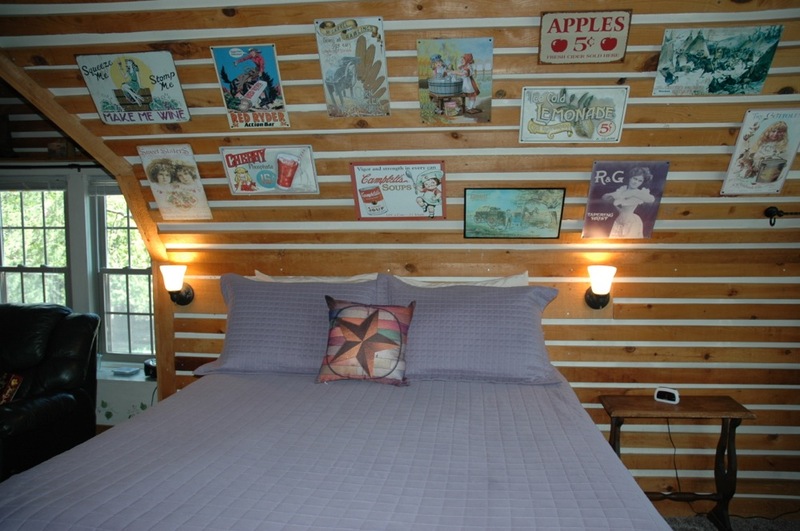 One of our most popular suites, the Hayloft will take you back in time! 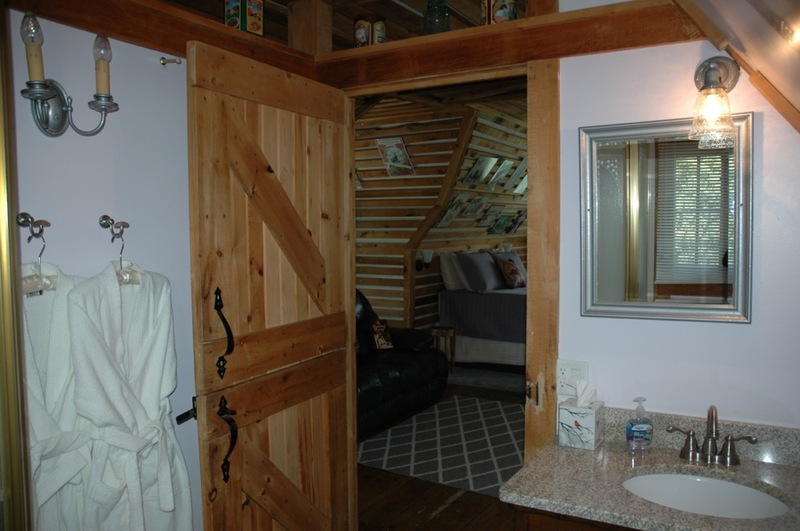 The orginal Hayloft for the stables, is an enchanting room that provides a private getaway. Everything you need is right here! 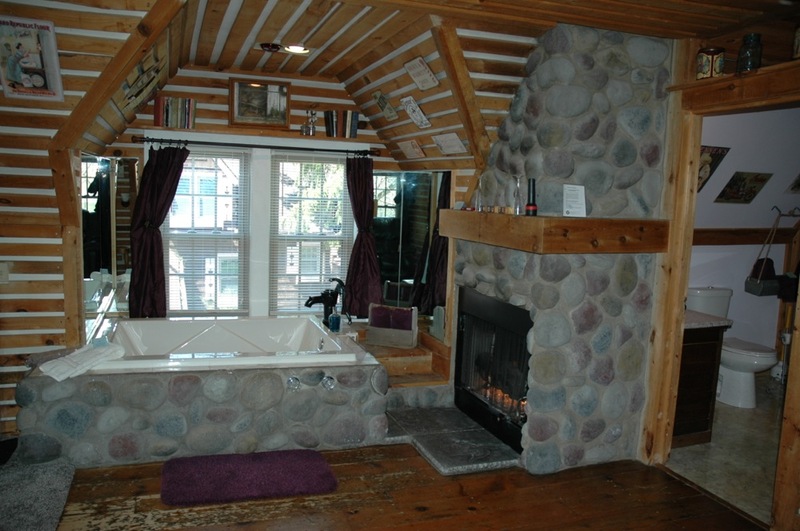 Picture yourselves in your double whirlpool filled with luxurious bubbles, the fireplace crackling. 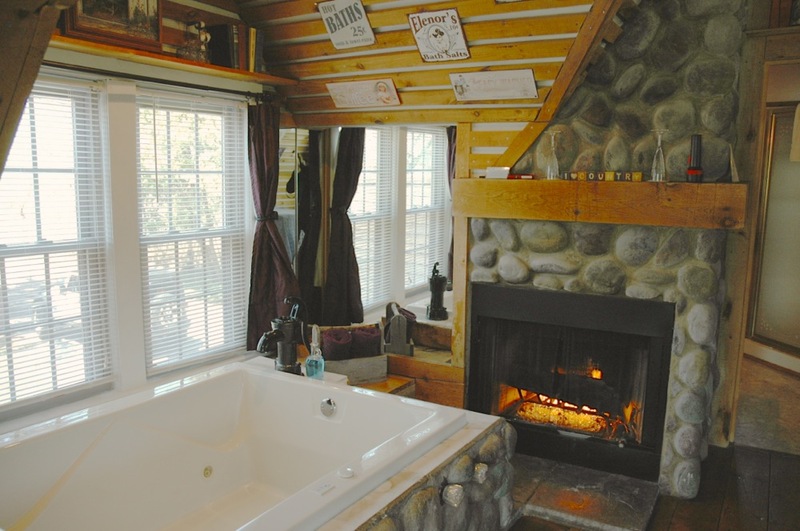 Unwind after the long day with a relaxing massage, and then spend dinner sitting by the fireplace with one of our picnic basket dinners, delivered right to your suite at your appointed hour…Add our complimentary bottle of champagne and chocolate dipped strawberries and you will remember your stay in the Hayloft forever. 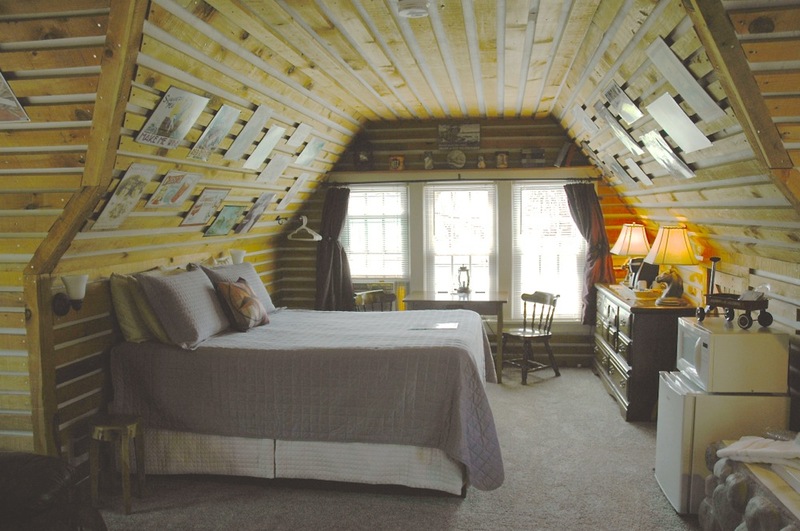 The Hayloft is a second floor suite with a private entrance. 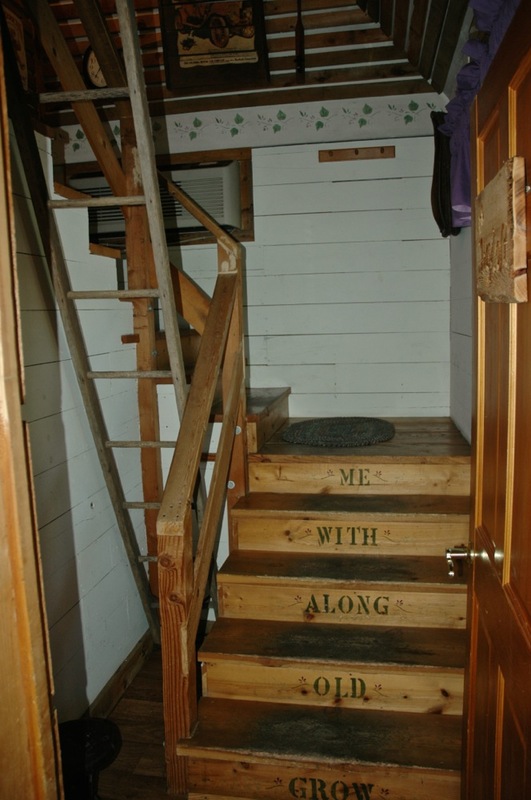 As you walk up the open staircase, stenciled on the front of the steps is the quote, “Grow old along with me, the best is yet to be". 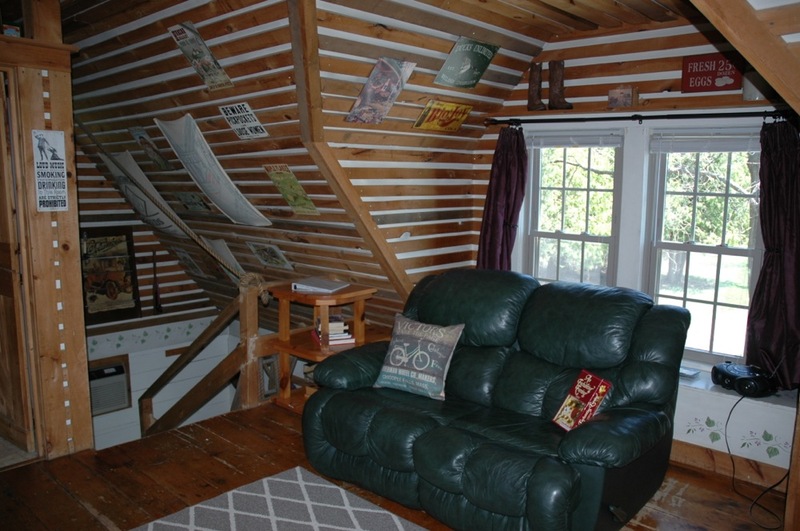 Wide pine flooring used in the original hayloft is in the sitting area at the top of the stairs. 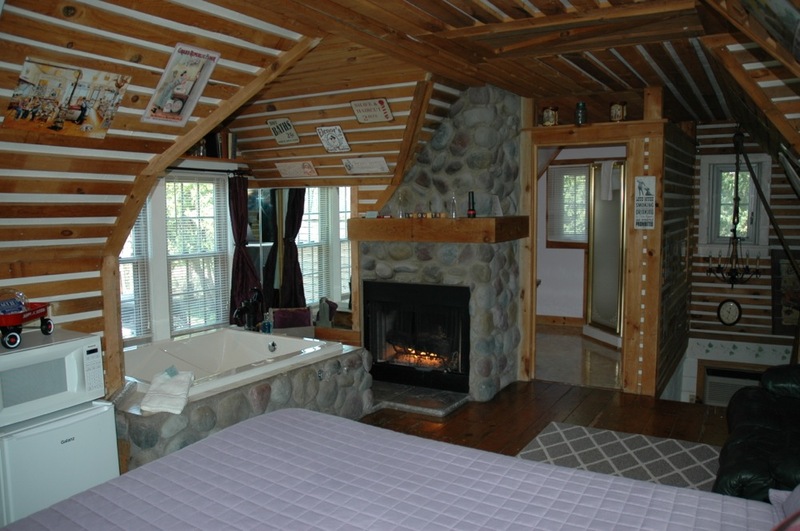 There is a romantic fieldstone fireplace and a whirlpool for two with a matching fieldstone surround. There is also a dining area for two that overlooks our picturesque grounds with a lawn chess set and beautiful flower gardens. 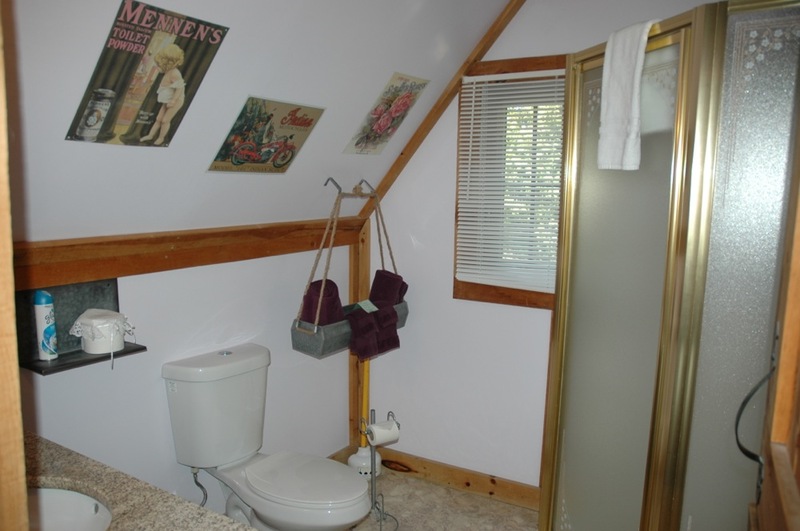 Antique decor takes you back in time with old fashioned tin advertising signs. 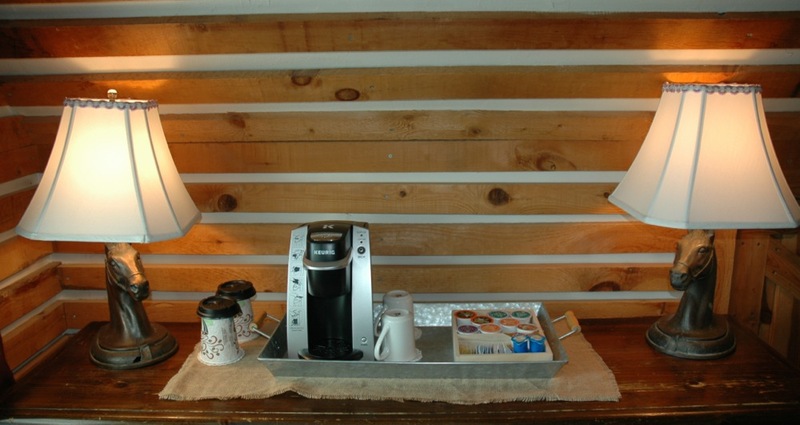 Complimentary breakfast and other amenities are provided. Also please review our deposit, cancellation, refund and other policies.